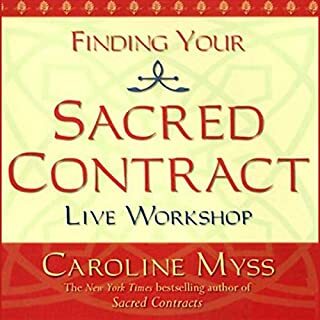 This workshop, recorded live in Chicago, Illinois, focuses on how to find your life's mission, or "Sacred Contract." By coming to know your mission, you can live your life in a way that makes best use of your energy. Finding out where you invest your energetic currency can show you how to manage your power as opposed to being managed by it. 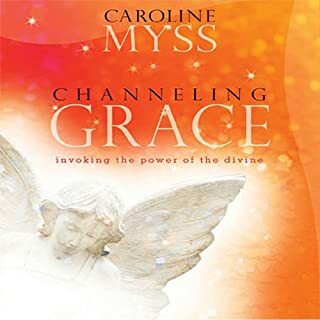 "Grace is the breath of God - an invisible essence beyond intellect that moves swiftly amongst us," teaches Caroline Myss. Is it possible to become a living conduit of this powerful force? 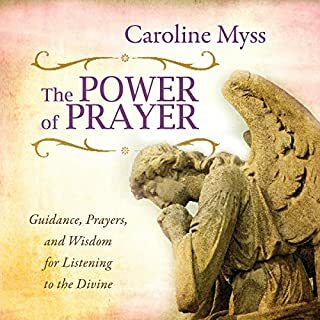 "Not only is it possible," suggests this best-selling author, "but grace is immediately accessible to you and everyone around you - through humility, devotion, and the courage to follow divine guidance." With Channeling Grace you are invited to ascend to what Myss calls the "altitude of the mystics". Why are we here? According to Caroline Myss, there is no question more important in our lives than this one. 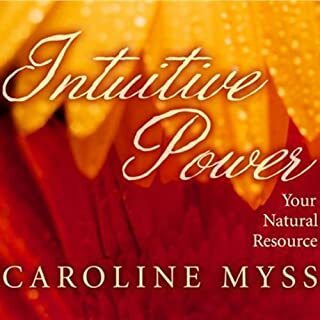 Now you have a "compass" to help you find your sacred purpose on earth, with this revolutionary spiritual tool developed by best selling author Myss. How before birth, we each "contract" with heavenly guides to become vessels for divine power and evolutionary change. Who belongs in your life, and how to recognize the "energetic" bonds that seal your sacred contracts with them. A unique system for divining your life purpose, using 12 central archetypes and a symbolic Wheel of Life. 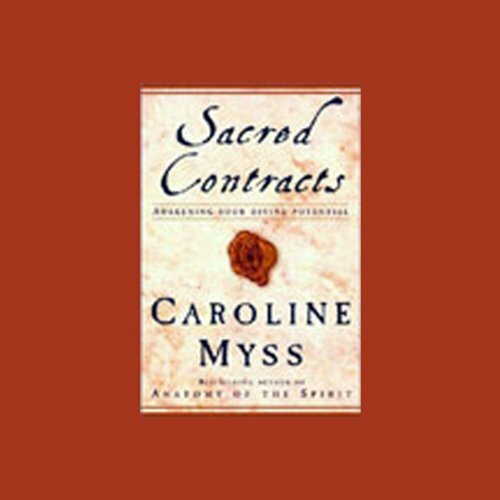 Rich with possibilities for personal discovery and divine connection, the Sacred Contracts workshop will point the way along your own personal life path to its highest - and often surprising - meaning. A lot of ah-ha moments! 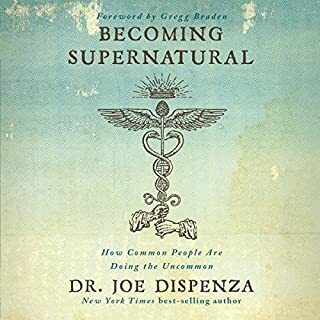 This book was recommended to me and I wasn't sure at the beginning but as I continued listening to it a lot made sense. chapter 5 especially where it spoke of the relationship that didn't make sense to anyone else. That was the part I was supposed to hear and it really resonated with me and I am very happy I finished it. I will be going back to it, will even write out some notes from it. So down to earth, wise and insightful. Truly loved every moment. Listened to it again after I had completed listening the first time. Caroline is genuine and clear in her guidance and teaching. Highly recommend this audio book. I've read bit and pieces of some of the author's teachings in other books, however no other author does such an excellent job of bringing it together. The author is one of the best I have ever heard at giving you a visual representation or example of meanings. 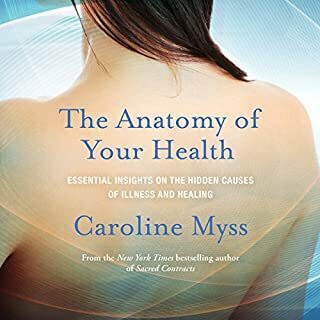 Read the description given by Audible as this is not a replacement for the book but a compliment and the author will refer you to the book for some of the charts. By all means get both as they are excellent. 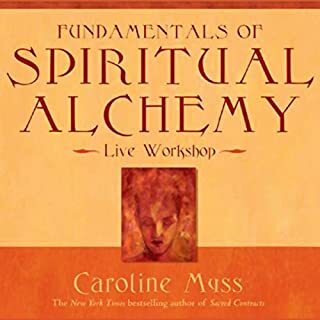 You can benefit and enjoy the audio file here alone, but if you desire to do some of the chart work that is so helpful, buy the written book as well. An absolutely amazing concept! After surviving a coma last year & being given the incredible gift of a Near Death Experience, I can tell you that her concepts are completely true. There are NO accidents. There are NO coincidences. EVERYTHING happens for a reason. We are 100% responsible for our lives because we co-created with The Creative Life Force Of The Universe the situations & relationships we agreed to experience during this & every incarnation. We do this for our own, the other beings & the Universes growth. I'm mystified as to how she gleaned this information. One thing she doesn't mention is that it's not just our relationships with other human beings that are crucial, but our relationships with ALL sentient beings. Dr. Myss beautifully expresses the information given to me on the other side. 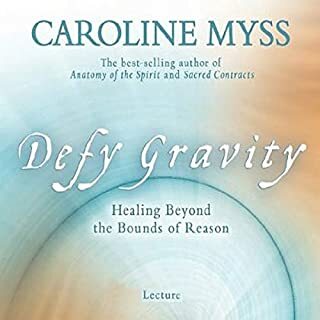 Myss has developed a concept that allows the listener to develop a reason to be here in this life and to understand the events, both good and bad, that occur. The concept is an agreement that we make, prior to our incarnation into life, to learn and experience lessons. Others have agreed to appear in our life to assist us to learn the lessons and have the experiences. In the same way we have agreed to help others have their experiences. How does this help us to live? There are events that occur in our lives that are difficult to accept or to explain. Myss gives a framework that can be used to encompass all of life's events and to accept them within that framework even if we do not like the events themselves. Afterall we do not necessarily come to only experience nice events but also horrid ones. The lesson for the soul is more clinical than the lesson for the emotions and it helps to be able to understand the separation. Well worth the cost and the time to listen and re-listen. 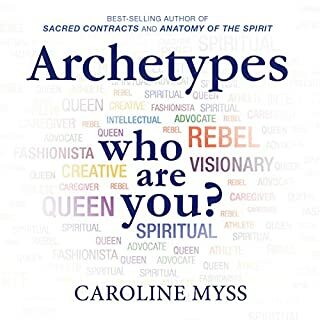 Do you know your archetypes? 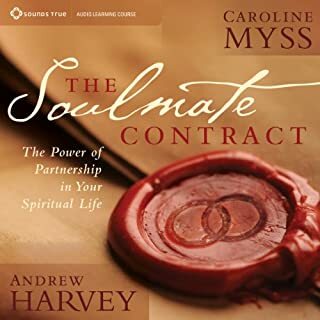 This audio book is meant to be read as a supplement to the book Sacred Contracts. It contains a lot of exercises involving archetypal patterns. 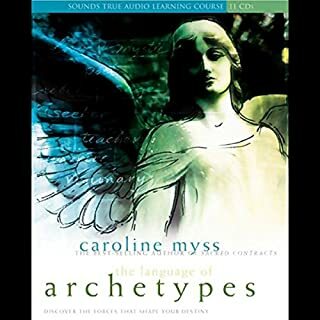 In it, Myss attempts to help you understand what 12 archetypes you engage with in your life. In the audiobook, however, she really glosses over descriptions of archetypes. She refers you to her hardcopy book instead. If you've listened to The Language of Archetypes then you should have plenty of base to get a lot out of this book. 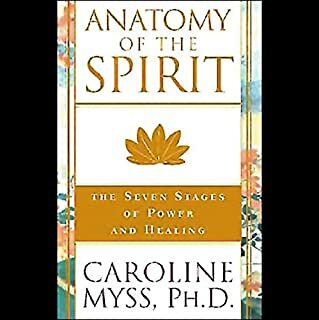 If you've never listened to or read anything by Myss, I wouldn't recommend this one to start. I have listened to this audio so many times at different points on my journey that I am surprised it hasn't worn out my ipod! Each time I listen I get something I didn't hear before. It has enabled me to make "sense" of what we are all doing here. She is an excellent teacher and her delivery of the nformation is clear as well as entertaining. I listened to this audio twice; I intend to listen to it few more times. The beauty in Myss' work is it comes genuine in its ideas, without being foreign or "totally out there". 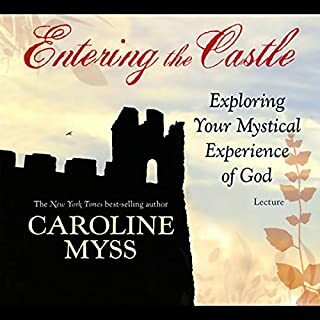 I appreciate the way she talks about the different spiritual traditions, and the stories she relates throughout her book. The ideas of freedom of choice and "sacred contracts" resonate strongly with me, especially with the on-going media about "you create your life" and the merciless pointing of fingers at others "i would never do that in my life". We really need to regain compassion when we look at others lives: respecting their journeys and contracts. The part on archetypes and casting the personal archetype chart is especially intriguing to me. I will be listening to audio on the subject next. Good to hear as an introduction; but one should really use the unabridged book with it's gallery to archetypes and references to movies and literature to engage this material well. The pointed questions offer guidance in making sense of one's personal past; and allows us the support to see the pieces of puzzles in the light of modern mysticism. This is a fascinating way to look at where we come from, where we are headed, and how it relates to our life today. I really think Caroline Myss has it right! If you listened to her lecture once you have heard it all. 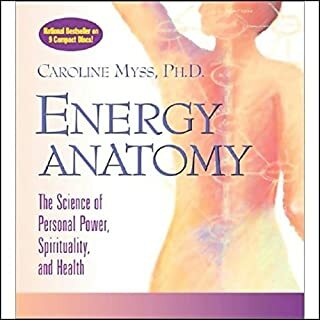 The same stories are cited in this as in Language of Archetypes as in Energy Anatomy as in Essential Guide for Healers. It is a shame because I really love her work it is just that all of these go over the same thing and in listening to just the little sample I did not get the clue that it was so much of the same material. It is still a live horse but how long is she going to continue beating it into the ground rather than write or deliver some fresh material on the subject. Talk about getting some financial mileage out of an idea. I certainly will not buy another of her lectures until she gets some new material. Save your money, if you have one you have them all. This is not a reading of the book. I expected this to be a reading of the book. 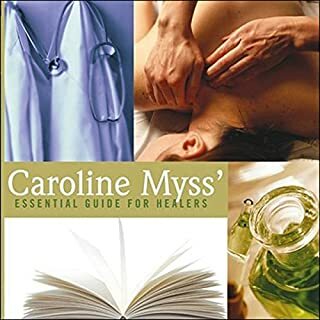 Instead it is Caroline Myss talking about the book in her rambling disjointed way. Very disappointed. I think that audible should have stated that it was not the accurate reading of the book. Has Sacred Contracts turned you off from other books in this genre? No, but it has to Caroline Myss. I will also carefully examine the details before I purchase another audible book. 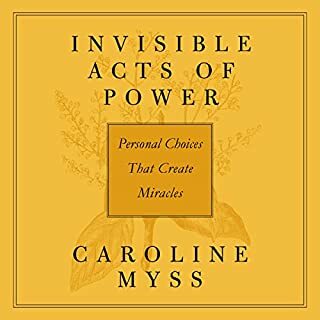 Would you be willing to try another one of Carolyn Myss’s performances? What character would you cut from Sacred Contracts? What made the experience of listening to Sacred Contracts the most enjoyable? Caroline explains everything in detail. I really came out knowing more about the reason why things happen the way they do. Her way of explaining things and her sense of humor. Definitely I couldn't stop listening. For anyone on a spiritual journey. .... make sure you collect all her teachings. Great message but I feel it could've been delivered in half the time. There seemed to be a fair amount of repetition. Loved this. It has answered so may questions and given me peace. I will start to view my life through contracts and chances to learn. 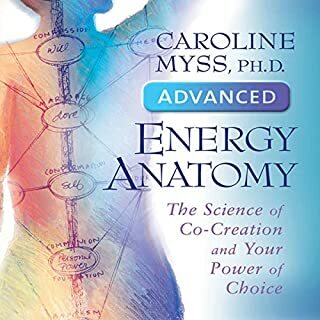 Caroline Myss has genuinely opened my soul to realise things I had never considered before. Truly inspiring and insightful messages and lessons that have no choice but to change your life and your attitudes. I remember feeling shocked to my core when the 4 fundamental archetypes were listed. “The Prostitute”. WHAT?! But I recognised her deeply. The vehicle that makes you choose if you’re going to sell your soul for something that doesn’t serve you for physical safety on the earth. Shocking and revealing. Loved every word. Thank you. I have had the book for a couple. of years but never enough time to sit and read. I have so loved listening to this audiobook on the go. The content is unique and profound, it has allowed me to rethink my relationships with people throughout my life, and also acts as a warning to be mindful of current and future relationships, to really ask myself, 'what is going in here, what is this here to teach me?'. I love Dr Myss' punchy and humorous delivery, strict school-marm with excellent one liners. I will be listening again with physical book in hand to do the exercises and note reflections. A fully immersive experience, highly recommended. Finished the Audio, but not the work. 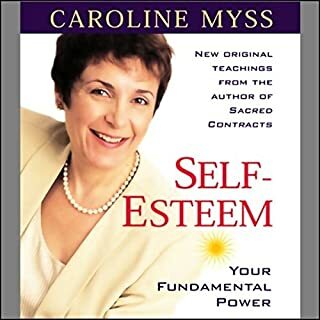 I love Caroline Myss and her teachings. This is a big one, but you definitely need the book as well. I have used this audio as a back up of the book, when I don't feel like reading. Sacred Contracts and the work she sets you to do, cannot be done in a hurry. But it's life changing.